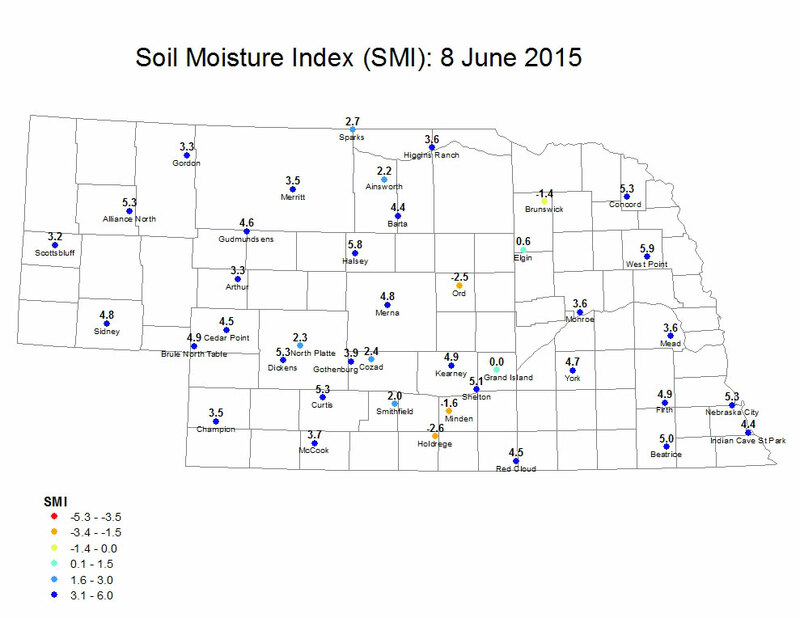 What is the Soil Moisture Index (SMI)? The SMI is based on the estimated field capacity and wilting point at three depths (10 cm, 25 cm, 50 cm) at Automated Weather Data Network (AWDN) sites under grass cover. The index may not necessarily be representative of conditions of a nearby field, particularly if differences in total precipitation over the previous week have been significant. Generally, a rating of 5 indicates the soil is at field capacity. 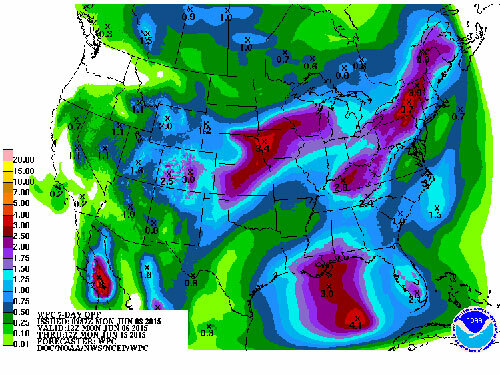 It was another wet week for most of Nebraska, with most locations picking up more than an inch of rain (Figures 1-2). 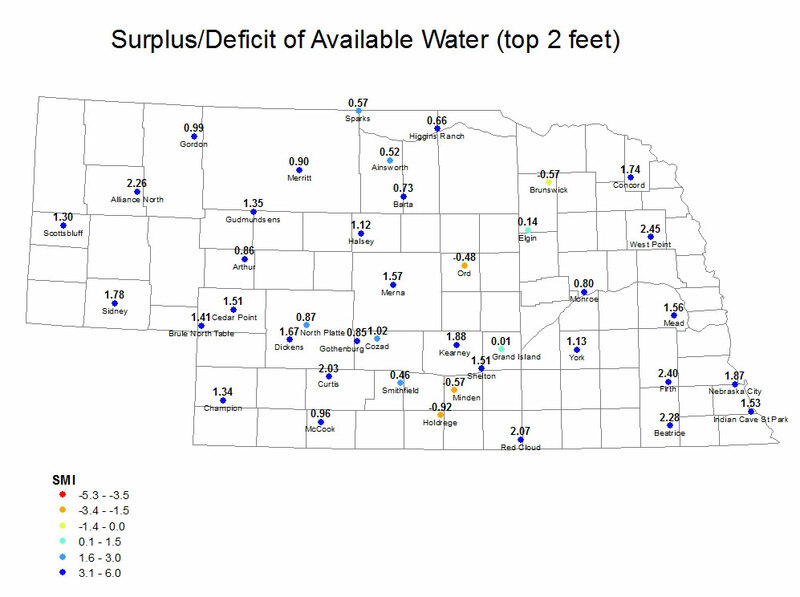 Many areas of south central and southeastern Nebraska picked up over 4 inches, with flash flooding an issue in some spots. 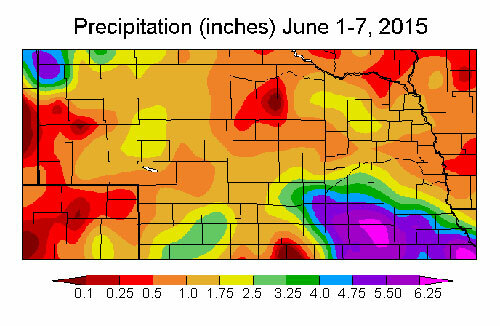 The biggest changes in the Soil Moisture Index (SMI) this week were noted in central Nebraska where most sites saw improvements, particularly Shelton which jumped from -1.6 last Monday to 5.1 today (Figures 3-4). Decent improvements were also noted at Red Cloud, Grand Island, Minden, and Kearney, though the improvements at Grand Island and Minden were confined to the top part of the soil profile; soils remain dry below the top foot at both locations. Average SMI by Level 3 Ecoregions, which may extend outside state borders.